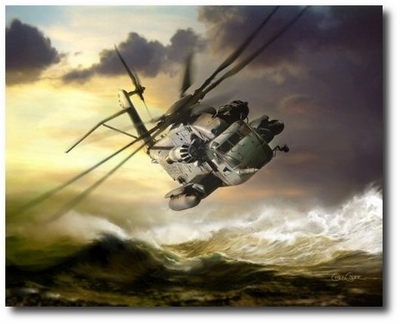 Christopher Cosner's latest painting pays tribute to the versatile and powerful CH-53E "Super Stallion". 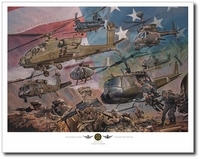 The Super Stallion is the workhorse and savior for the U.S. Marine Corps and U.S. Navy. The CH-53E is capable of lifts up to 16 tons and carrying out challenging and dangerous missions such as the rescue of Capt. Scott O'Grady when his F-16 was shot down over the skies of Bosnia in June of 1995.